This project aims to uncover and collect some of those stories. The team has collected 25 oral histories from ex-prisoners and ex-prison staff, so far. The collection process is ongoing as we work to build a varied and representative archive of personal stories. Members of the public will be able to access the oral histories in full at the Islington Local History Centre. The Digital Exhibition will feature extracts from selected oral histories. The public will be able to read and explore selected excerpts on the website. Keep an eye on this page to discover more as we update! 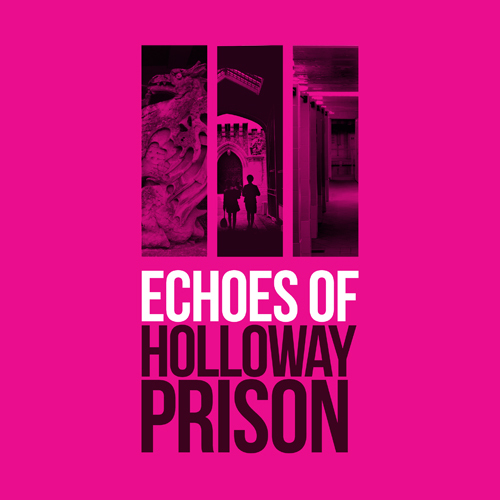 Holloway Prison Stories is a project that shares stories about HMP Holloway, collected and contributed by those who have known it. Their aim is to offer a realistic and recognisable Holloway through the stories. To read more of the stories or contribute your own please go to their website. Erika discovered herself in Art following her arrest. She drew at least one postcard every day for the last 3 months of her 6 month bail period and throughout her whole incarceration and subsequent release. Erika was held at Holloway Prison until its closure. Her postcards are on display online. Work by Erika was on show at the Koestler awards exhibition at the Southbank Centre from 19 September to 4 November 2018. The Treasures Foundation was founded by Mandy Ogunmokun in 2011, who herself was held at Holloway Prison. Treasures offer support and guidance to women with a history of drug abuse and offending, through three homes in East London. The foundation was recently awarded funding from SEGRO to benefit the organisation’s Independent Living groups. Find out more about the work that Mandy and Treasures do, here. Staffed and led at every level by people with lived experience of the criminal justice system,, User Voice works to give ex-offenders a voice. They have supported our oral history collection by undertaking interviews and focus groups inside two prisons with women who have been moved from Holloway following its closure. Discover more about their work here.